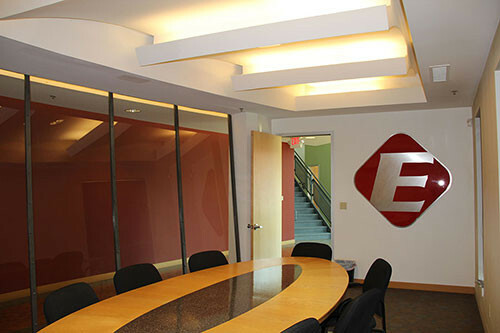 Since 1985, Eisen has built a reputation as the premier supplier of cold formed metal products in the construction industry. We specialize in the design, construction, and delivery of load bearing cold formed metal framing. The strong relationships we have built with our customers serve as the foundation of our business, and we thrive on providing products that speed up projects. We know that it takes meticulous planning and constant communication to ensure on time delivery, but our team of experienced employees makes this happen every day. Our centrally-located headquarters in St. Charles, MO allows us to deliver to nearly any construction site in the United States, efficiently and cost effectively. We value superior design and planning in our engineering process. Regardless of how complex the project goals, Eisen’s designers and engineers are ready to tackle the challenge. We utilize the latest technology to develop the correct structural plans, allowing the entire fabrication process to run efficiently. In laying this crucial foundation, the rest of the project management team can determine a concrete plan of action and take the steps to transform the project vision into reality. 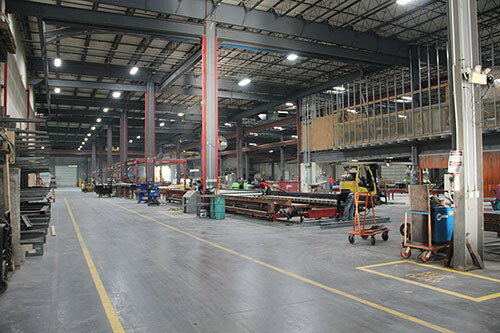 Finally, the prefabricated item sections are pre-assembled and a finish is applied in order to mitigate the impact of weather delays if necessary. The panels are then loaded onto special rack systems on our trailers with utmost care and transported to the construction site where the final assembly will occur. The panels are delivered and installed precisely as planned in the initial design when they are delivered, so that project delays are avoided.